The meerkat (or suricate) is a small mamal living in the southwestern African deserts. There, it is also known as the sun angel because, according to popular beliefs, it protects the villages from werewolves (or moon devils). 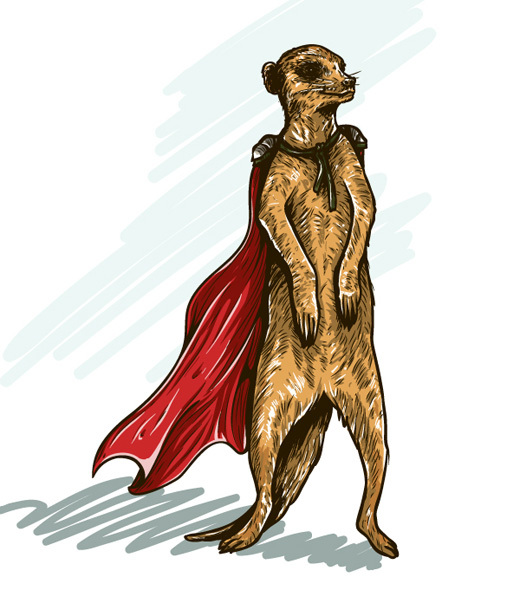 This is why our meerkat is portrayed as a superhero. Let’s learn together how to draw it in Illustrator with this awesome speed drawing video tutorial. If you’ve enjoyed this post and the design resources that came with it, please don’t hesitate to let us know in the comments section below. Andra Postolache is a young blogger and design enthusiast. She writes articles about design inspiration, design tutorials, the newest vector packs and other design related stuff. Follow her on Twitter to stay connected to the latest design news. 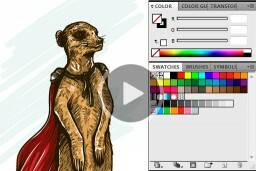 Meerkat as a super hero. It’s amazing. Awesome work in the video. Thank you so much for posting the free tutorial. I can’t wait to make my own superhero meerkat.